JawboneÂ® today announced its UPÂ® Platform for iOS and unveiled 10 apps that have integrated withÂ UP, the wristband and app system that helps you know yourself so that you can make smarter choices and feel your best. Jawbone also announced it will soon open the API for others to integrate services with UP or build entirely new experiences. Log a run or bike ride with RunKeeper or MapMyFitness, and view your workout data in UP, including maps of your route, to see how last nightâ€™s sleep may have impacted your speed or distance. Step on your Withings Smart Body Analyzer and automatically import your weight into UP to track it in the context of how you sleep, eat and move, and get support from your UP teammates as you work toward your goal. 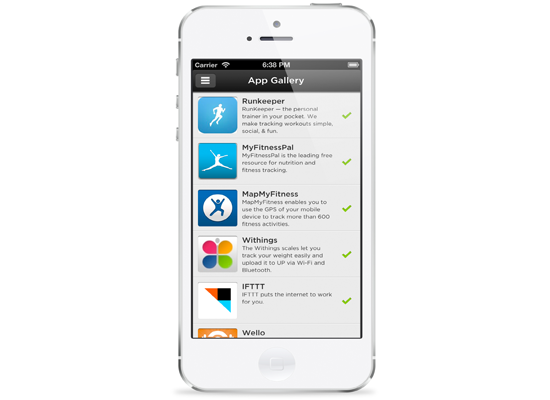 Create IFTTT Recipes to receive nudges based on your UP activity, like texting you to go for a run if the weather is sunny, or tweeting at your workout partner when you reach 15,000 steps. 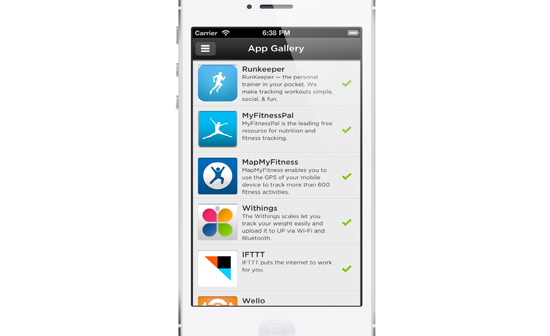 Complete a workout with a live personal trainer in your home or hotel room using Wello, and log the workout directly into UP. 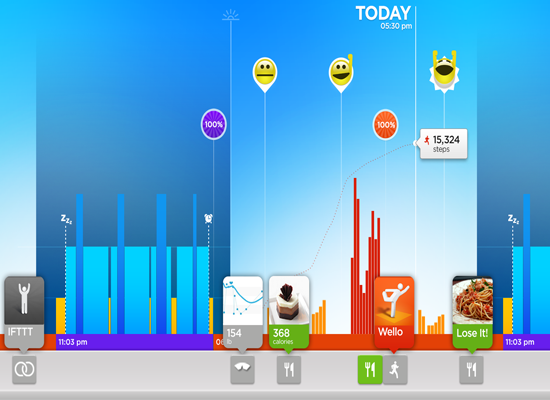 Once connected with an app through UP, you can view your activity from UP and any partner app in your feed, lifeline, and trends. You can also use your UP data in selected apps â€“ including things like detailed sleep and movement data, your food or even your mood â€“ to make those experiences even richer. Developers who would like to integrate an existing service with UP, or build an entirely new experience, canÂ connect with JawboneÂ for more details. UP by Jawbone 2.5 for iOS, featuring the UP Platform, is available to all UP users today as a free download from the App Store. Access to integrated apps will vary basedupon each appâ€™s regional availability and language settings, and apps offered in English-only will not be translated to match the language settings in your UP app. FitBit Flex on Windows OS. How does it stack up?